Q: Is Agent Smith in this movie? Q: What is 'The Matrix Reloaded' about? Sometimes ridiculous, sometimes awesome, but ALWAYSspectacular! Last night I was fortunate enough to stumble across some tix to the "Reloaded" premiere. 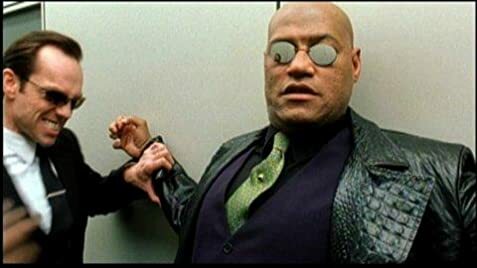 Since the original "Matrix" came out a few years ago everyone has imitated its' kenetic action style, which led me to think there's no way they can recapture that fresh and exciting edge again. But they did. The Wachowskis have way out done the new "Star Wars" films and without a doubt have far surpassed the "X-Men films." At times the dialogue is clunky and the Zion scenes are a little too Star Trek and Buck Rogers, but the action is always astonishing, and the humor is always in the right place...if not too much in the right place...For example Neo uses one of the many Agent Smiths to take down other Agent Smiths sending them all crashing with the sound of falling bowling pins. A little goofy but fun. The action though, I can't say enough about. The center chase scene is awesome and the opening cycle scene is.... 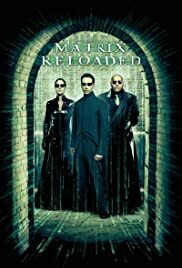 Okay, no more words, "The Matrix: Reloaded" will not disappoint and by the time you reach the cliffhanger ending you're more than ready for a break from this double talking, mind bending adventure. 91 of 150 people found this review helpful. Was this review helpful to you?